This is a great drill to teach an offensive player how to use their body and create space within a small area. The offensive player can start with either a live dribble behind the baseline or in a triple threat stance on the baseline. 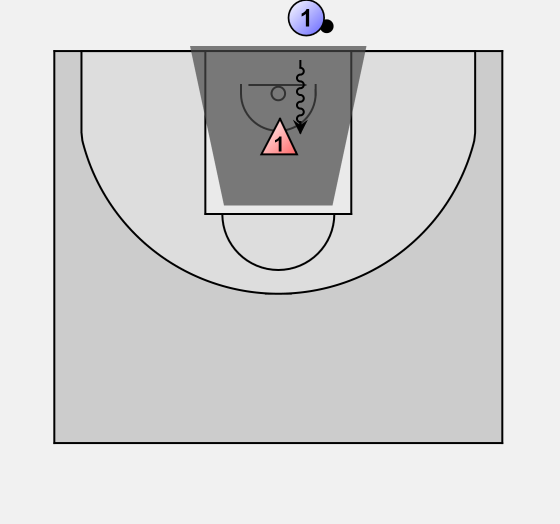 It is the job of the offensive player to beat the defender past the top of the key, without stepping outside the area or getting the ball stolen. The ball handler cannot turn their back on the defender with a spin dribble or use their body to back the defensive player down. There is a time limit of 6 seconds to get the ball over the finish line.